Cultivate a Supportive Environment that feeds your desires and visions; create a sustainable container for your life. The field is the sole governing agency of the particle. Like Spirit, The Field can also go by many names: Oneness, Universe, All That Is, Source, Energy, etc. 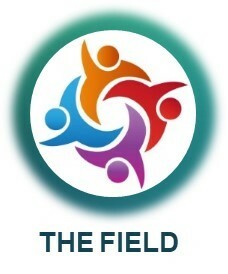 Our environment, ‘the field’ in which we live, is a powerfully influencing agent in our lives. This includes the relationships we cultivate with others as well as our world. The ‘I–Me–My’ of the personal growth movement gets a lot of attention. Yes, I am a powerful, creative being. Yes, everywhere I go there I am. Yes, within me are the solutions to releasing triggers and developing healthy awarenesses of myself and life. Yet there is still no ‘I’ in ‘Team’. As we can see from The ACE Study, we are highly influenced by our environment and the people around us. of us will not thrive in a box by ourselves. A well balanced and experienced life does not exist in solitude. Thoreau went to the woods because he wished to live deliberately; so he would not, when he came to die, discover that he had not lived. Then he came back and shared what he had learned. We grow in life and in knowing ourselves through relationship. We shine our best when someone is watching, even more so when someone we care about is watching. Are you curious about what your life might look like a year or two from now in terms of income, employment, relationships, spirituality, or otherwise? Looking at the lives of our five closest friends can provide some clues. We tend to become products of the company we keep. Two of the three learning styles offered for Experiential Learning involve other people; talking with and observing them. Numerous studies in psychology and neuroscience demonstrate that having good social relationships is one of the strongest predictors of fulfillment and success. The University of Chicago’s Research Center found that people with five or more close friends are 50 percent more likely to describe themselves as very happy. The first journal exercise is to assess our whole environment on how supportive it is of a specific Goal. It is separated into four parts to assess what we see as our internal strengths and weaknesses, and our external opportunities and threats. Take some time to list the people, things, and characteristics that fall into each category. An experienced mentor or Intentional Journey Coach can help us plan ways to best utilize the helpful aspects and mitigate harmful ones. The next journal exercise is to build a personal board of directors. It can include people we know or would like to know. They might be famous people or not. This is a group of people that can support us showing up in the world in a way that is congruent with our Vision, Mission and Goals. Some might support us with their personal time. Others might support us through their writings or talks, or just by just being an example. Looking back through your journal at the “My Value and Values” exercise from page 8, you may find some people that would fit well on your personal board of directors. If none of the people you know can support you on your journey of designing your life, then you will want to reach out and find different people. As was mentioned in Key Practice #4, our Mission Statement is what we will use to enroll others that believe in our Vision and new ways of being. It is not intended to convince someone who would otherwise not believe in what we are trying to accomplish. We can let those relationships rest in what they are, or allow them to fall away. One of the most effective ways to meet and engage with new supportive people is to find social groups that share our desired interests and passions. Within those social groups we can open up to developing new friendships and resonant relationships. Like the word sounds, resonant relationships are ones that are in balance and in tune. They are relationships that share a connecting emotional bond around a common Vision, Mission, or Goal. Another effective way to find support is to share our passions with people we meet, and to ask them about their passions. This is another place where our Mission Statement comes in handy. It is okay if some people we meet do not resonate with our plan, or us with theirs. Neither of us have much skin in the game; we just met. They may however know someone who does fit well with our new path in life. We can use a modern business example to illustrate the importance of resonant relationships. Research shows that more than two-thirds of information technology projects are over time, over budget and/or incomplete, and nearly one-third of these projects are cancelled or never used. That may sound like a reflection of how our lives have been in the past. How can we turn this around? What is the common element that creates successful business projects? It is a resonant leadership environment where there is a shared vision and people feel connected to their job purpose, customers, co-workers, and organization. Considering our lives and what we desire, we want to create for ourselves an environment that looks like that. Cognitive intelligence – knowledge, systems thinking, problem solving – comprises only one-third of the skills needed for success. The majority of the skills required, two-thirds of them, are social-emotional intelligence skills. We might recall an old saying that success comes from one-third of what you know, one-third of who you know, and one-third luck. It was called luck back then because the underlying components seemed like magic, there was no concept yet of social-emotional intelligence. The opportunity here is to change the field of our relationships. Take a moment to reflect on who brought the best out in you in the past, or who brings the best out of you now. Know that more relationships and experiences like that are waiting to form. It is time to capture a fulfilling life for ourselves. Most of all, enjoy the journey. The Universe is always conspiring in your favor. To learn how Intentional Journey Coaching can work for you schedule a free 30-minute strategic consult. Marci Shimoff. Happy for No Reason: 7 Steps to Being Happy from the Inside Out. (Atria Books, March 2009), https://isbnsearch.org/isbn/9781416547730. Linda M. Pittenger, PHD. Engaging IT professionals: Does Vision matter? (Embry Riddle, December 12, 2011). "The antidote to exhaustion is not necessarily rest. ​The antidote to exhaustion is wholeheartedness."